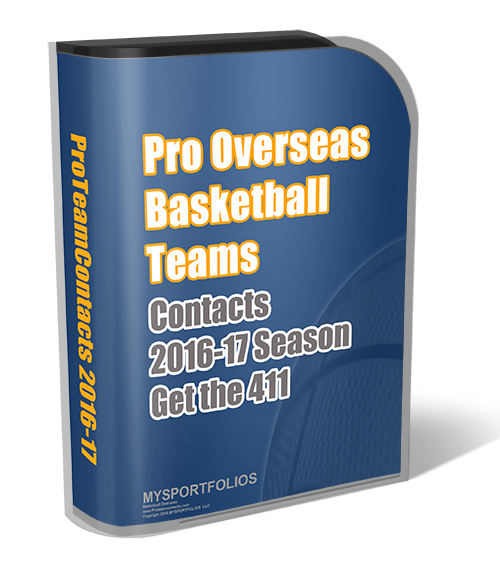 Basketball Overseas has made it a bit easier to list your company information and mission statement. Instead of posting messages on boards to get client, list your information here free. Click here for the search.. Our database is not as extensive as the prominent websites like Eurobasket or Telebasket but we are striving to reach the top!! My name is Herman Davis and i’m looking for and agent i’m 6’7 and i have a 43 inch vert. i’ve played at Wabash valley college for two years which we won our first national championship and i’m a very gifted player i have tapes of highschool and Junior college please replay please. My name is Dontaz Dean i’m ‘6’7 all around player. i’ve played two years junior college in one player of the year. I finished up at fort hays st. I have my own web page just type in my name on yahoo and you will see my resume. If need tape call me. My name Is Herman Davis I’m 6’7 all around player i can play the three-five if need I’m 29 years of age. I’m looking for some type of semi-pro basketball league it does not have to be over-seas just something in state IBL,CBL, ABA, it really doesn’t matter. I keep hearing my age plays a big part and thats only from one person so if you think my age is a problem then please contact me at the following e-mail address and ill prove you wrong i have played with players who are over seas and in the NBA such as Tony Allen, Antwain Barbour, Hiram Fuller, Chaz Briggs. I am not for games and serious when it comes to playing basketball please contact me if you have anything open. You can also google my name and you will see my stats for 2005-06 season at Salem International University.